M.R Electrical & Maintenance is a sole trader family run company. We offer all aspects of electrical work in both domestic and commercial properties, with 10 years experience. No job is too big or small, we cover everything from putting up a light, to complete rewires. Free Quotation, Very competitive prices. We thrive on customer satisfaction! 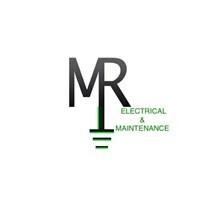 M.R Electrical And Maintenance will continue to maintain a high quality level of work and an excellent customer relation.